This active ingredient won the prize in European Innovation “Best Active Ingredient”. It is a revolutionary technology designed to protect human skin stem cells with the help of stem cells from a rare Swiss apple. The clinical trials conducted showed that 100% of the participants saw a reduction in fine lines and wrinkles after using a solution containing 2% Malus Domestica. Malus Domestica is a liposomal active ingredient based on stem cells from the rare Swiss Apple called Uttwiler Spätlauber. Vogue has dubbed it "the super apple" and asked if the tree could be "the new fountain of youth". The variety was first recorded in the mid-18th century, found only in northern Switzerland. If the tree's bark or the skin of an unpicked fruit is punctured it heals. Once picked, an Uttwiler Spätlauber (Swiss Apple) lasts months longer than any other apple in the world. Swiss scientists at Mibelle Biochemistry found the key to the apple's longevity lay chiefly in its unusually resilient stem cells. In clinical tests the apple's stem cells appeared to be protecting human stem cells. 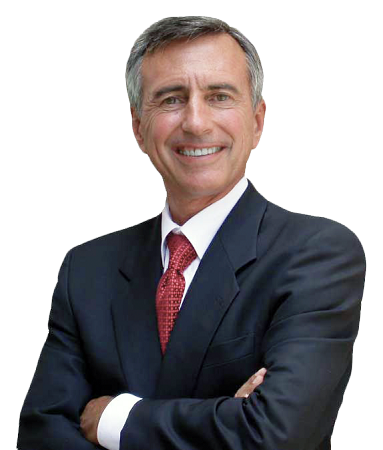 In clinical trials conducted showed that 100% of the participants saw a reduction in fine lines and wrinkles. This exciting ingredient in our product is being used by 'A' list celebrities and is one of the most talked about new active ingredients and has been featured in Vogue and raved about in the media. Celebrities include Michele Obama, Jennifer Lopez, Gwyneth Paltrow, Julianne Moore, & Helen Mirren. 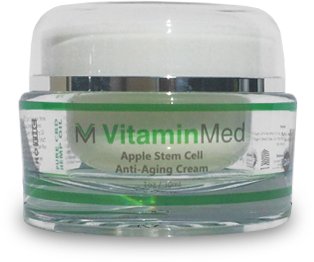 Get the best of both worlds- Apple Stem Cell & Palmitoyl Tetrapeptide-7… with the added benefits of Natural Oil. Your skin will look younger, tighter, and brighter after daily use. Longevity is related to stem cells which have a unique growth characteristic. These apple stem cells are rich in epigenetic factors and metabolites, assuring the longevity of skin cells. INGREDIENTS: Purified Water, Glycerin, Paraffinum Liquidum, Simmondsia Chinensis (Jojoba) Seed Oil , Olea Europaea (Olive) Fruit Oil, Sodium Lactate,Stearic Acid, Steareth-20, Alpha Arbutin, Triethanolamine, Niacinamide, Panthenol,Xanthan Gum, Fragrance, Glycyrrhiza Uralensis (Licorice) Root Extract,Phenoxyethanol, Benzoic Acid, EDTA, Potassium Sorbate, Sodium Acorbyl Phosphate (Vitamin C), Malus Domestica Fruit Cell Culture (Stem Cell), Extract,Lecithin, Retinyl Palmitate (Vitamin A), Tocopheryl Acetate (Vitamin E).